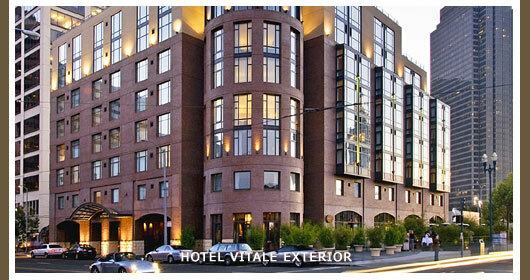 Welcome to Hotel Vitale, a luxury hotel on San Francisco’s waterfront. This landmark San Francisco boutique hotel was designed to uniquely encompass modern luxury touches balanced with soothing natural elements. At this urban retreat, guests will experience a revitalizing stay, enhanced through Hotel Vitale’s stunning water and city vistas, on-site Spa Vitale with outdoor roof-top soaking tubs, dramatic terraces and the Vitale’s signature restaurant and bar – Americano. Located on the penthouse level of the hotel, Spa Vitale offers treatment in three treatment rooms with water views and outdoor deep soaking tubs. An urban oasis with spectacular city and water views including a dramatic view of the Bay Bridge, this San Francisco spa will nurture and revitalize guests seeking a fresh approach to spa services and once in a lifetime bathing ritual experience in an urbane setting. Spa Vitale is an intimate space for those seeking the highest quality massage experience versus a larger destination spa with perhaps more choice but less attention to personal detail. 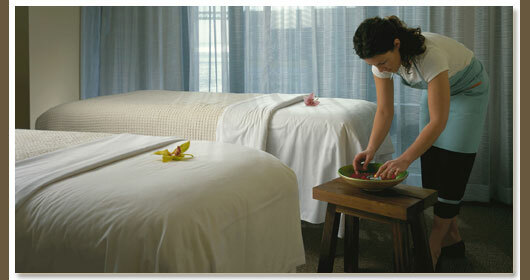 Spa Vitale is a participating spa for the Joy of Life Club program. Rewards can only be redeemed Monday through Friday until 5PM. 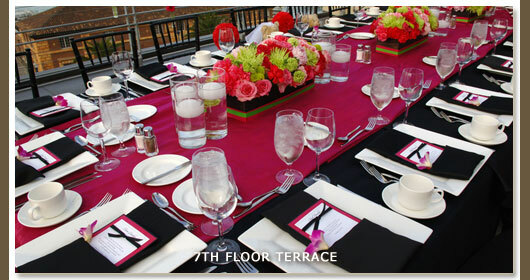 Hotel Vitale offers uniquely San Francisco meeting and event space, both indoors and outdoors, on our stunning water view terraces. 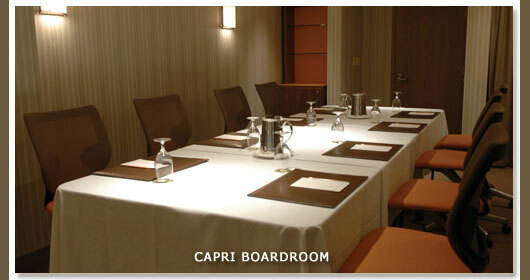 Hotel Vitale can accommodate indoor meetings and conferences in versatile meeting space. All event and meeting space is catered by our farm table restaurant. Americano. 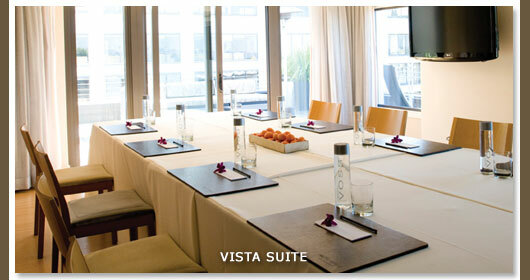 Hotel Vitale as a City Certifed ‘Green Business’ offers sustainable meetings and events. 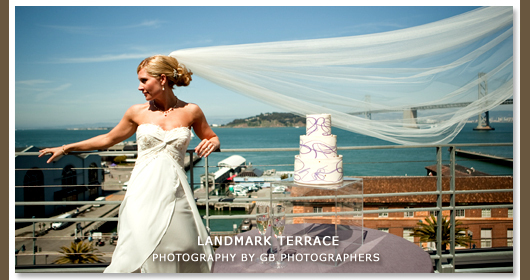 With stunning indoor event space and spectacular outdoor terraces with San Francisco Bay Area water and landmark views, Hotel Vitale is the perfect place for weddings, cocktail receptions and banquets. 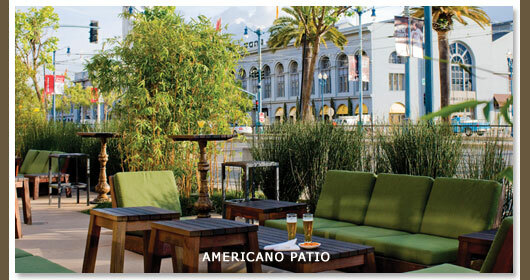 Our outdoor spaces are located on our beautiful rooftop terraces with panoramic views of the San Francisco Bay, Bay Bridge, Ferry Building and more. 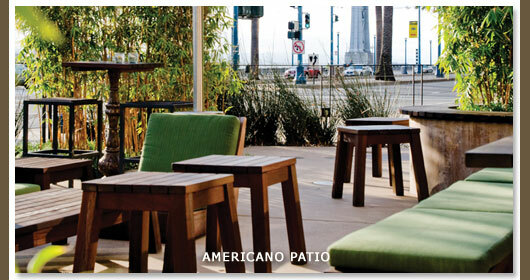 Additional terrace space is located at ground level on the popular and vibrant heated patio of Americano Restaurant & Bar. For an indoor celebration, our stunning Amalfi Coast event space boasts floor-to-ceiling windows and provides a versatile and enjoyable space in which to host your big day. 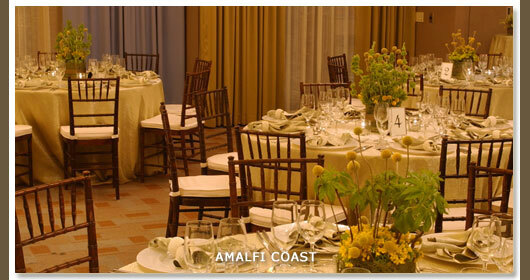 The Hotel Vitale’s expert Events Department is happy to help you coordinate and organize your special event. 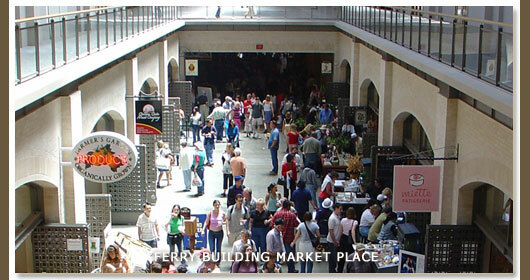 We have carefully selected the best local vendors who will ensure your event will be planned to perfection. Our preferred vendors are familiar with our spaces and environment and can help you select the ideal options for your party. Our unique philosophy of “luxury, naturally” event design will insure that your event is flawless from design and conception through the entire production process. Our Special Events Staff is dedicated to creating a memorable event – please call 415.278.3711 for a personalized proposal. 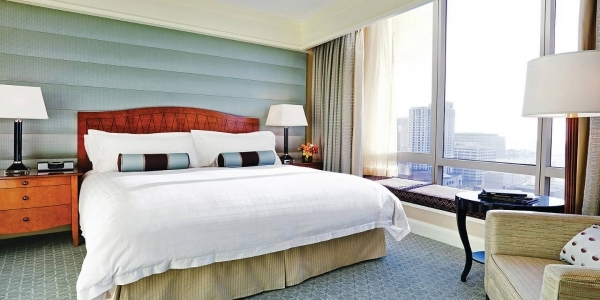 Hotel Vitale in San Francisco offers 200 luxuriously appointed guestrooms. Each guestroom features limestone covered bathrooms, luxurious sheets and a soft and subtle color scheme designed to promote vitality. A one-bedroom suite located on the top floor of Hotel Vitale provides a truly a one-of-a-kind San Francisco experience. Guests will enjoy the comfort of 663 square feet of indoor living space including a bedroom with a king bed and a living room with sliding glass doors leading to a private terrace. 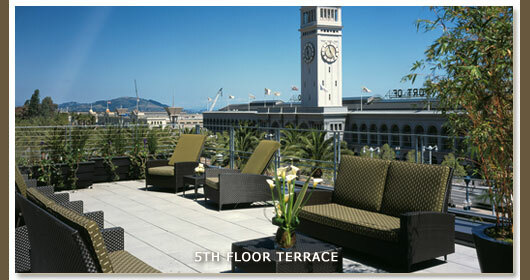 The terrace overlooks the famous landmarks of the historic Ferry Building, the Bay Bridge, Alcatraz and the San Francisco Bay. This suite also has two full bathrooms and provides an ideal setting for intimate entertaining. Fresh Bath products are included in the Landmark Terrace Suite. Please note this room type is available as an overnight accommodation one week prior to arrival. 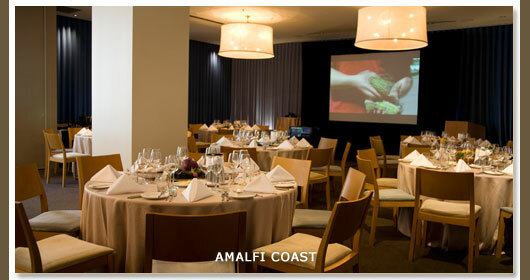 To check availability for an event, please call the hotel Sales & Events department at 415-278-3719. To check availability for a guestroom, one week prior, please call the Hotel Reservations Department at 415-278-3740. This corner suite, designed in a 180 degree circular style, has dramatic views of the San Francisco Bay, Ferry Building and Bay Bridge. The living room area features a soaking tub for two. A wet bar, king size bed, entertainment center and spa-style limestone bathroom with dual rainforest showerhead complete this awe inspiring room. Fresh Bath products are included in Panoramic Circular Suites. 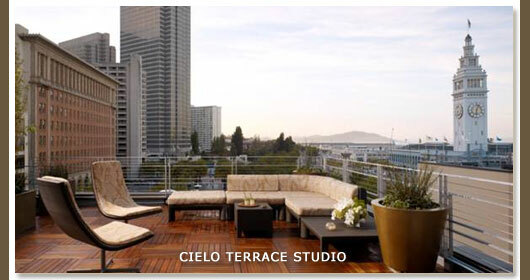 The Terrace Studios feature sleek and modern custom-designed furniture and rugs and wood flooring. Each room has its own private terrace with heat lamps and lounge furniture, including chaises, sofas and tables. To book a Terrace Suite please call the hotel directly and ask for in-house Reservations. Please note, guestrooms are available one week prior to arrival. Please note these room types are available as an overnight accommodation one week prior to arrival. 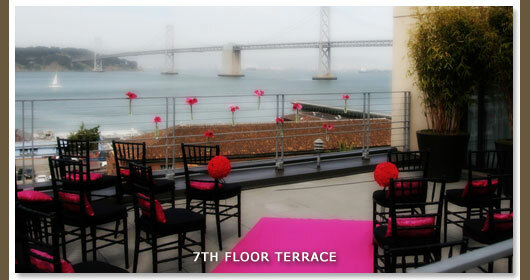 To check availability for an event, please call the hotel Sales & Events department at 415-278-3719. 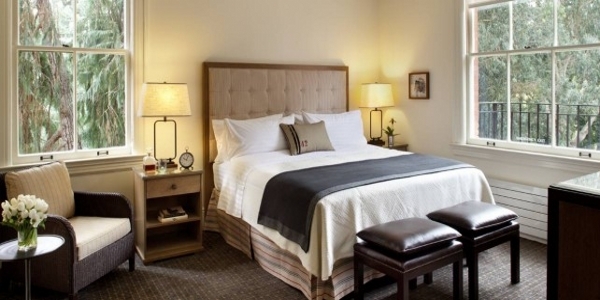 To check availability for a guestroom, one week prior, please call the Hotel Reservations Department at 415-278-3740. These rooms are located on floors three through eight and feature expansive San FranciscoBay, FerryBuilding, Treasure Island and BayBridgeviews. Each room has a seating area, bay windows and spa-style limestone bathroom with rainforest showerhead. Ranging in size from 370 to 390 square feet, they have King sized or two Queen beds. Fresh Bath products are included in Deluxe Waterfront rooms. 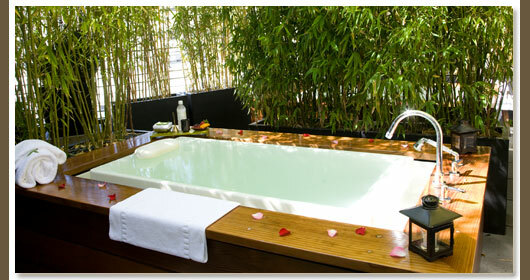 The Urban Studios are unique in their architectural layout and have a deep soaking tub, large windows that open and views of the urban landscape. Generously sized with 416 square feet of usable space and feature one queen bed. 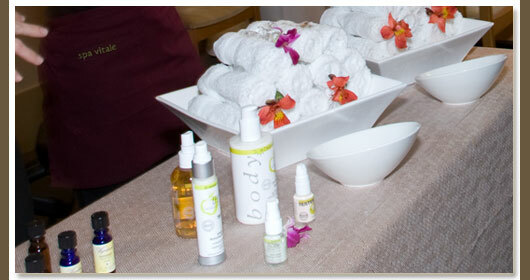 Fresh Bath products are included in Urban Studios. The Family Studios offer an additional seating area with a sofa bed (in the king bed type only) and a dining table for four. 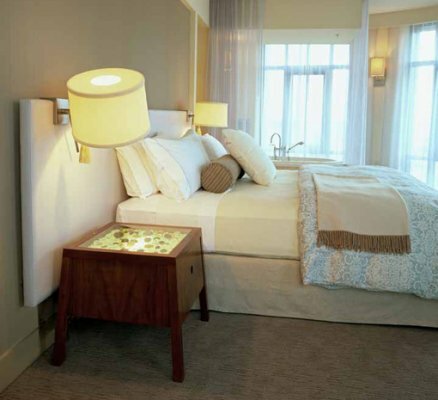 These rooms offer 480 square feet and are located on the interior side of the hotel, offering the quietest experience. Fresh Bath products are included in Family Studios. 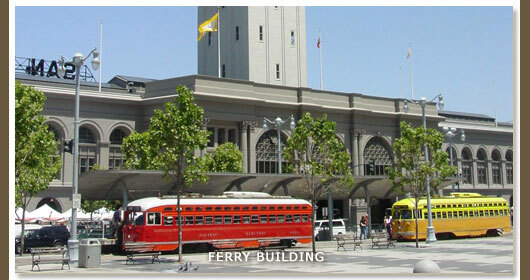 The king rooms offer partial water views and partial views of the Bay Bridgeor Ferry Building. The rooms with two queen beds have a large window that offers partial water views and views of the Ferry Building or Treasure Island. Included in each room is a limestone bath and tub and shower combination. Square footage of the superior water view guestrooms ranges from 310 to 395. Fresh Bath products are included in Superior Water View rooms. 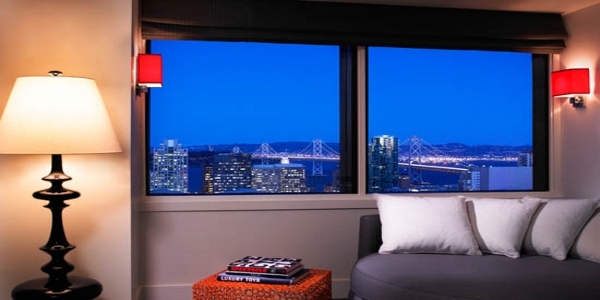 These rooms feature San Francisco’s urban landscape views from a South or East location, and provide either a king or two queen beds. Included in each room are a limestone bath and tub / shower combination and seating area. 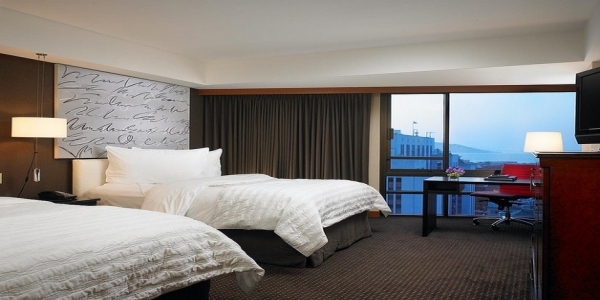 Square footage of the city view guestrooms ranges from 320 to 360. Lather Bath products are included in Deluxe City View rooms. The Superior Rooms are located on the interior of the hotel, offering the quietest location. These rooms offer either a king or two queen beds, and a few offer a sofa bed. These rooms range in size from 310 to 395 square feet. Lather Bath products are included in Superior Rooms. 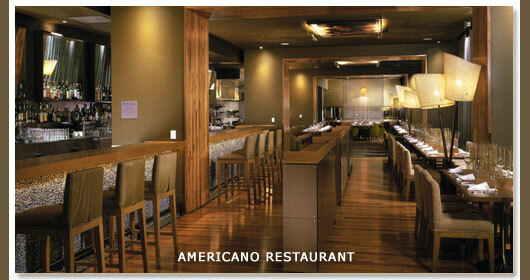 The kitchen delivers a menu that celebrates the essence of Italian farm-to-table cooking. Reflecting authentic and robust Italian cooking flavors, dishes are rooted in tradition yet change frequently with the seasons. The Cocktail Lounge is uniquely designed in a circular fashion to offer 180 degree panoramic views. It is a popular gathering spot for local business executives from the city’s financial district.